When I posted a little profile of the workshops of a few rodmakers a while back, I was fortunate enough to be able to get some of the feedback from the featured rodmakers themselves. One of the things that stuck with me is that they all seemed to wish that I had included additional rodmakers, and one of the names that came up was Fred Paddock. Fred took a long break from designing blanks and building rods, but recently decided to ease his way back into rodbuilding. He's not quite ready to offer blanks just yet, but who knows? 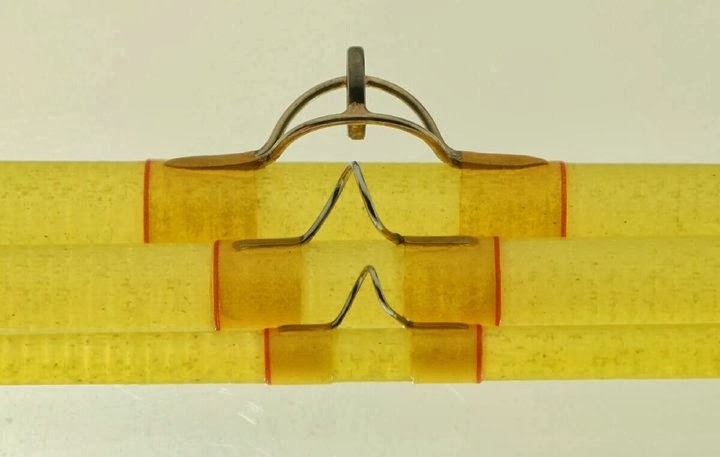 When I see the enthusiasm around his "Lemon Drop" and "The One" blanks, I understand why glass rod aficionados are hoping for a second chance to get their hands on another one of his blanks. I'd certainly like to, and when I asked him about the possibility of reintroducing the Lemon Drop, he didn't rule it out. That's a start. How long have you been rod building, and do you have a "day job" as well? Do you work from home? For fly rod building, the shop is from home. I have been building fly rods for almost 20 years now. Mostly fly rods freshwater and saltwater, I have build a lot of surf rods though... both fly and surf fishing are my favorites. I do have a day job, I'm a service engineer for a commercial and industrial mechanical (HVAC) company. In your old shop, what item on your bench saw the most use? The least? Probably the lathe, cork, wood inserts for reel seats, and such. The mortising router seen its share of time too. Of course, the wrapping table and finish station gets a lot of time. The machine that sees the least is the hydraulic press. At one time, I was making my own snake guides. It was enjoyable to make every aspect of the rod, but making snake guides was not practical for me. The press is still around, but it won't see too much use. What's your favorite feature of your old workspace? And the least favorite? The favorite would be the dipping tank (cane rods), that was something I took my time with making and it turned out nicely. The least favorite was the lack of space... my old work area was always tight quarters. Blanks, components, tubes, etc. were stacked everywhere. It was a chore to setup each part of the builds. The lathe was always stationary, but the other tools had to get setup when needed. I usually built a group of rods at a time in order to save a little time. Do you follow any specific routines or habits when working? Music, privacy, etc? A cup of coffee before I start wrapping a rod. Other than that, I usually just would setup all the tools and components of what I was working on at the time. Having everything you need on the bench before you get started takes time, but it gives you a lot less headaches in the long run. Do you have any photos or posters or something similar on the walls to motivate or inspire you? My wife's artwork is throughout the house, as well as in my wrapping and finish room. There's also a window looking out to the backyard that has a nice view of the surrounding woods, here in this area of Virginia it's nice and quiet. You're currently designing a new rod shop. Could you describe it briefly? What are the things that will set it apart from your old work area? I am in the process of building a detached garage with a studio above. The studio is for my wife's, Suzanne, art studio. The garage part is for my workshop, both will have heating and cooling with make up air. The new shop will have enough space to work. I plan on having a clean room for finishing work, with a drying cabinet. Basically a bench and drying cabinet for varnishing and rod epoxy work, with few rod turners. The clean room will also have a dip tank for cane rods, and a dip tank for reel seat woods. For the rod wrapping, I will still use a spare room in the house. The other work areas will have dust collection and stations for assembly. I can work my way through each area and at the end... have a completed rod. I also plan to have an inventory area. This will be for blanks mostly, since the components will be at the stations. Having the stations takes away some of the clutter the old workspace had. Will your new shop be set up for both bamboo and rolling glass blanks? I plan to do more work with split cane rods. I have a small library of tapers that work well. I enjoy making cane rods, it does take time and patience... I have had my share of sections that I ended up scrapping. I don't experiment too much with tapers, I guess I like what I like, so there's no need to chase something else. 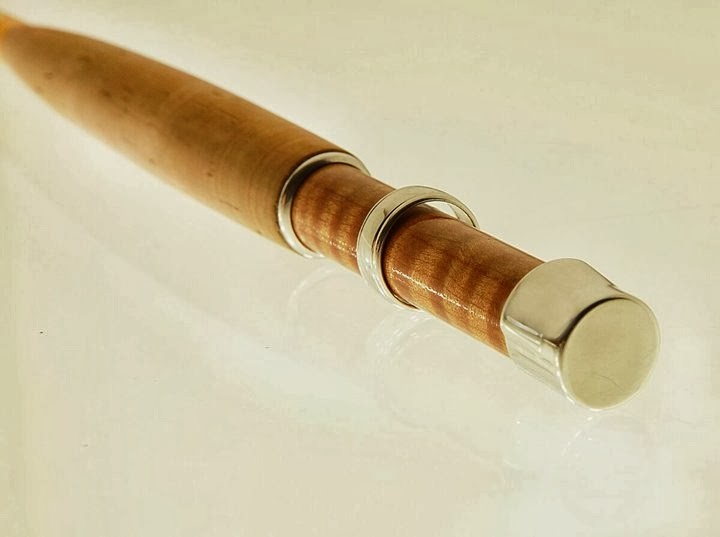 I don't see me making a lot of cane rods, but a few a year would be a nice goal. For wrapping and building cane blanks, I have an excellent cane maker who does outstanding work and will do any taper and configuration I request. I won't be doing any glass blank manufacturing. I am in the process of sourcing some private label blanks for myself. When I can find the right connection for glass and graphite blanks, I have a lot to share in design and direction. 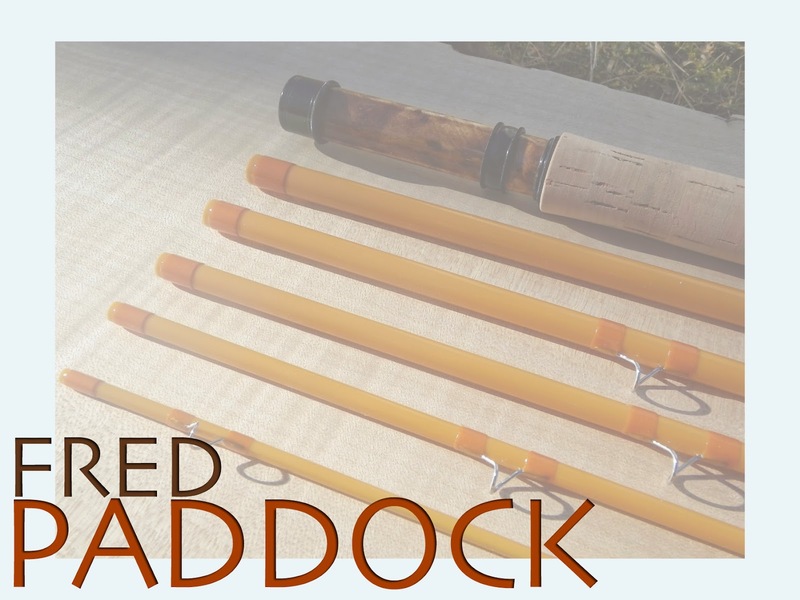 I plan to start up again with solid performing fly rods at a modest price. As time permits, I will work on some special projects. You can see more of Fred's work on his Facebook page. 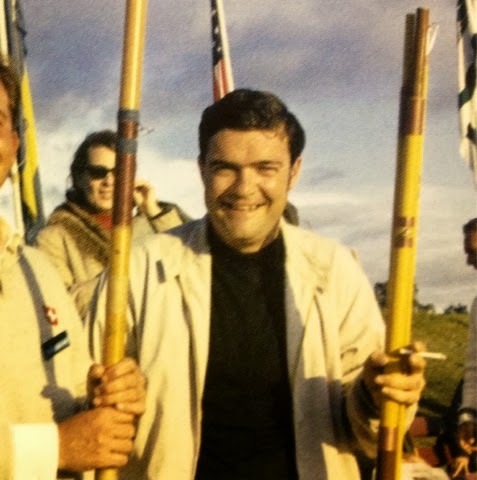 The JET series of rods were designed by the famed John E. Tarantino, an expert caster and member of the Golden Gate casting club, who worked for the Fisher rod company designing rods and blanks for companies like Hardy and Scientific Anglers. As interest in Fisher-designed rods grew, Hardy had Fisher build a duplicate plant in Alnwick, England, from which Tarantino's JET (his initials) series were produced and sold from 1967 to 1975. Tragically, John was shot and killed during a robbery in San Francisco at the height of his career as an internationally renowned rodmaker. Come March, I'll throw on a Battenkill III reel, (Sadly I don't have an appropriately sized Hardy reel!) take it down to the river and add my own little contribution to the history of this beautiful old rod.